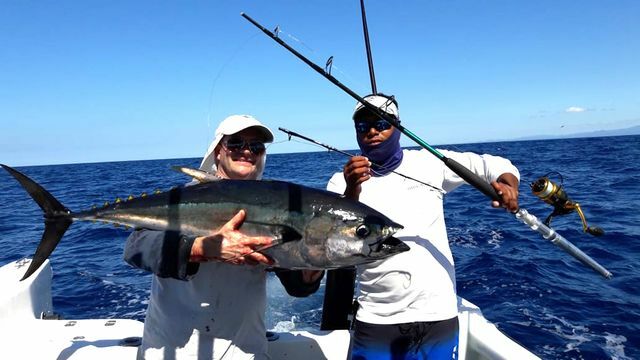 Feeling adventerous and on a whim, Ms. Elaine Hepburn chartered the Harvester for a quick 5 hour trip on March 30. 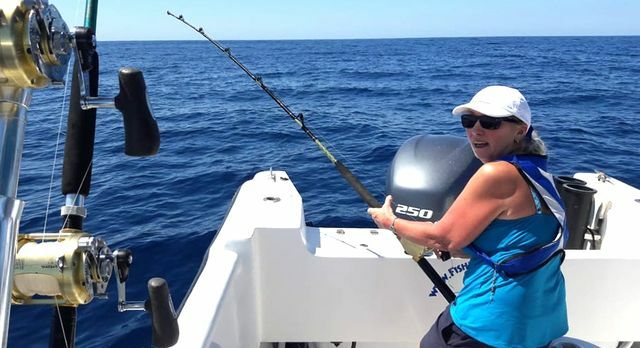 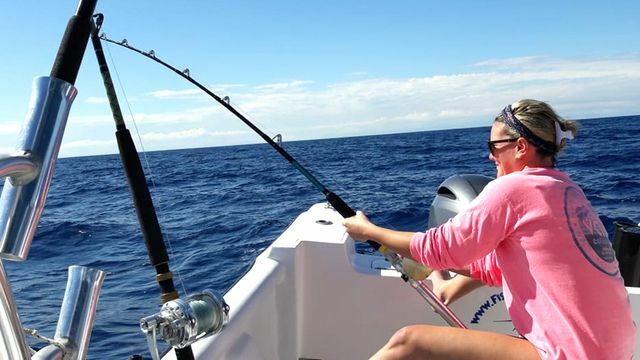 She had never fished before but with Captain Alex’ help was catching like an old pro in no time. 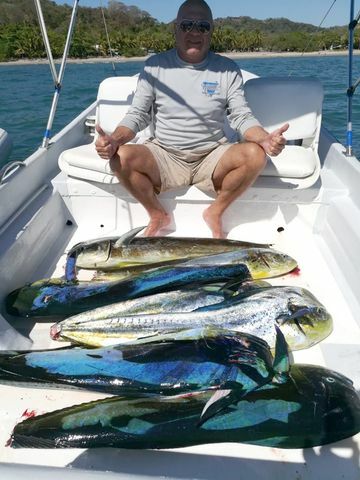 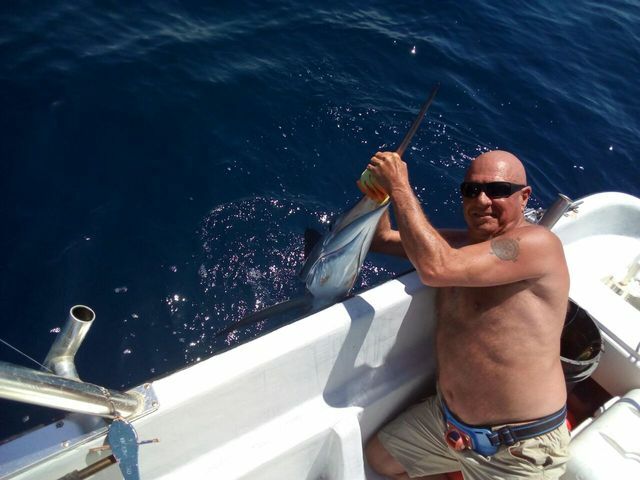 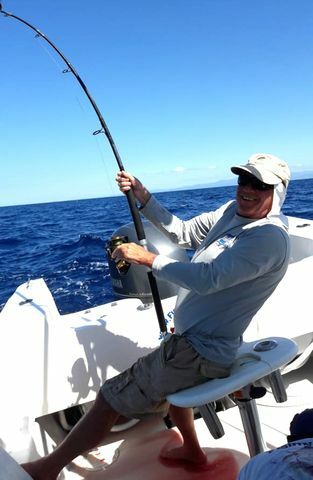 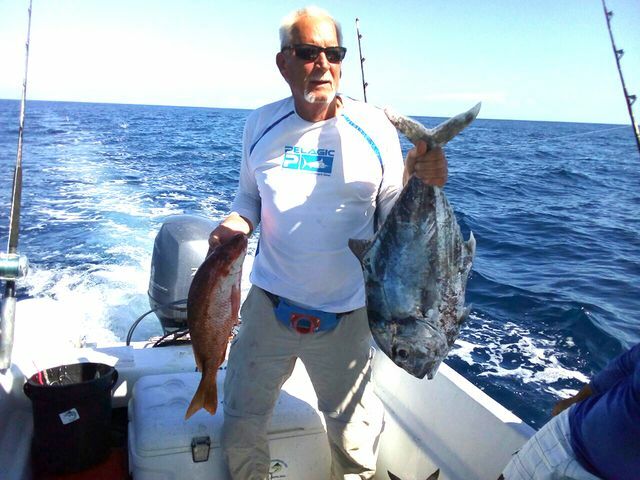 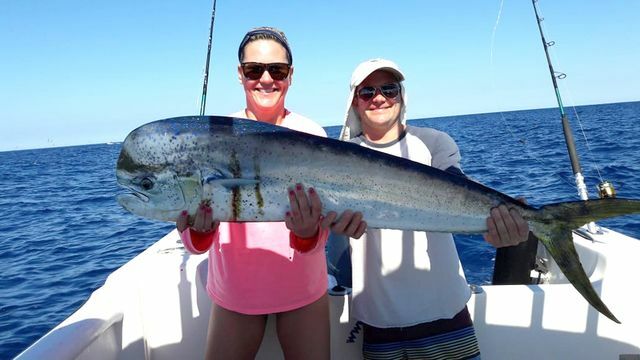 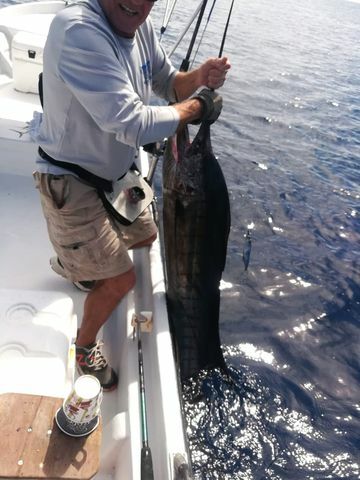 Captain Fico kept scored throughout the month of March…check out this great array of catches from the 15th. 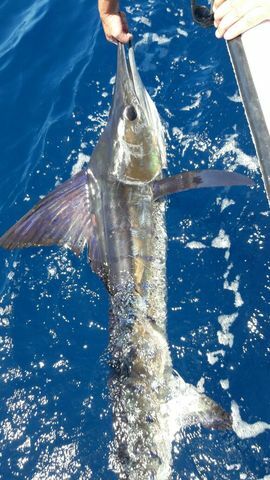 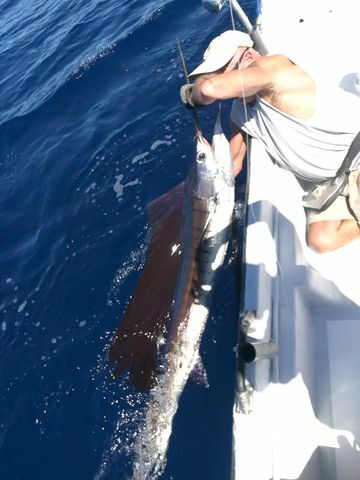 They started with a nice Rooster Fish release by Kyle Sever. 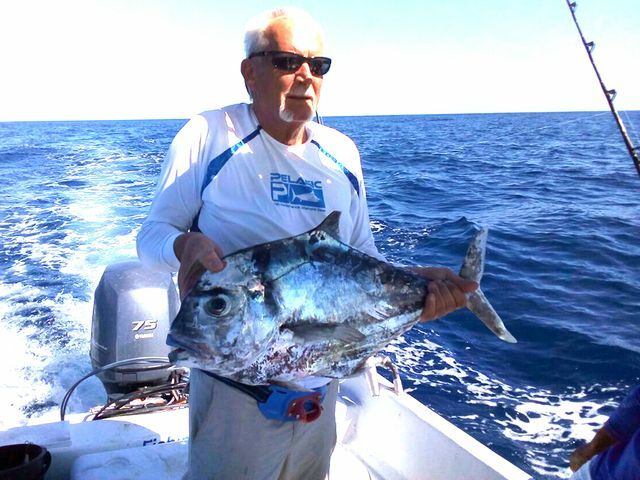 Then they nabbed the elusive Blue Jack Crevalle, a rarity for this area and the source of amazing ceviche. 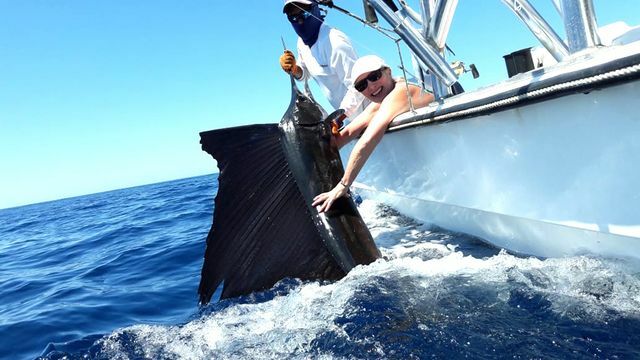 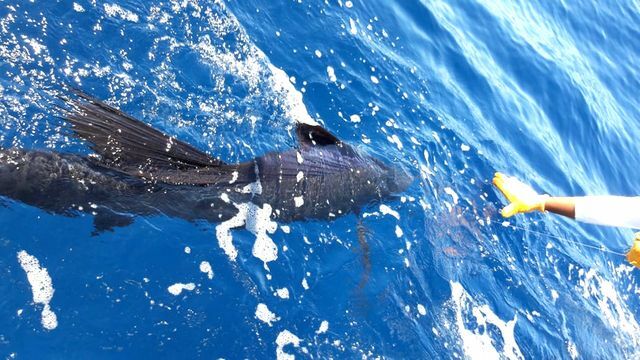 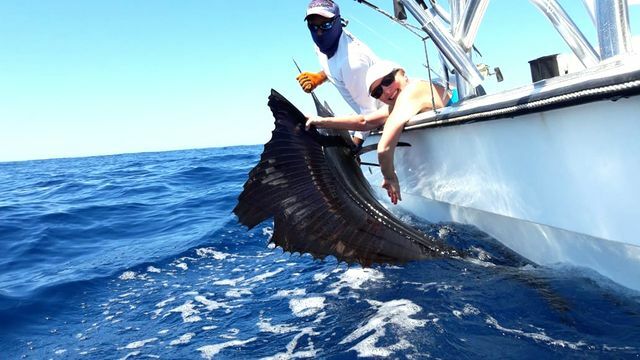 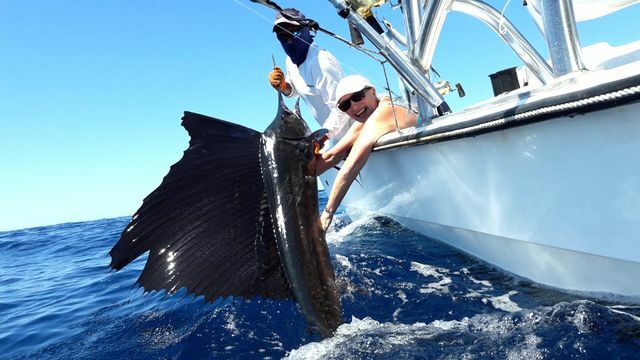 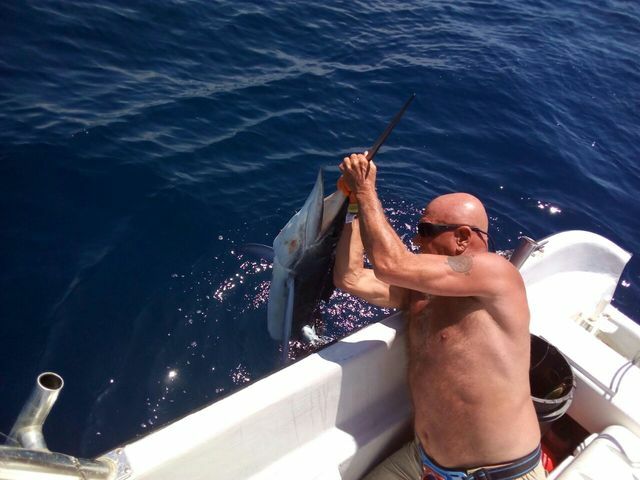 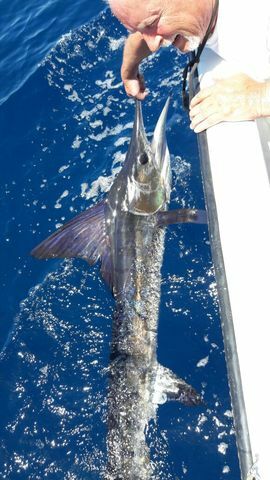 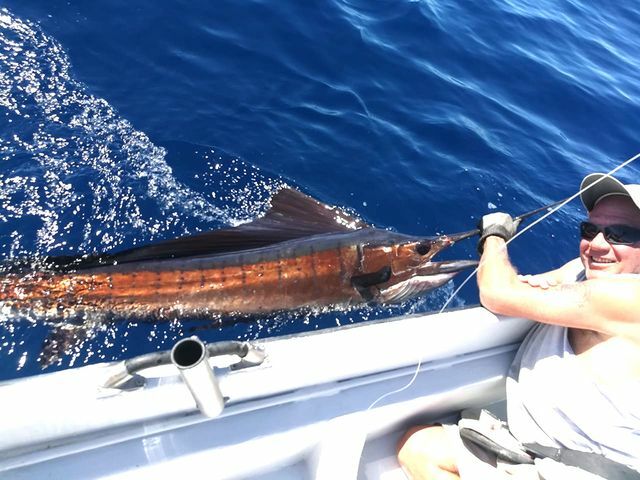 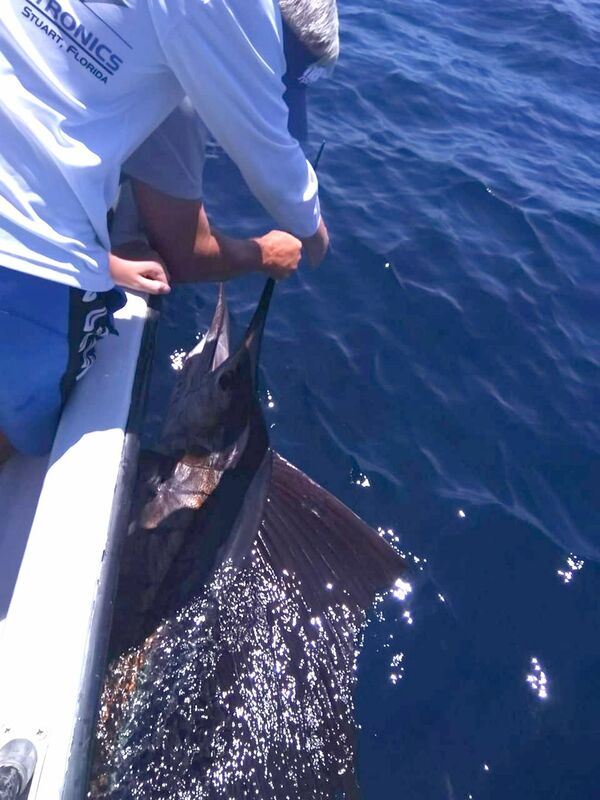 Team Sever then headed offshore and scored this excellent Sailfish release. 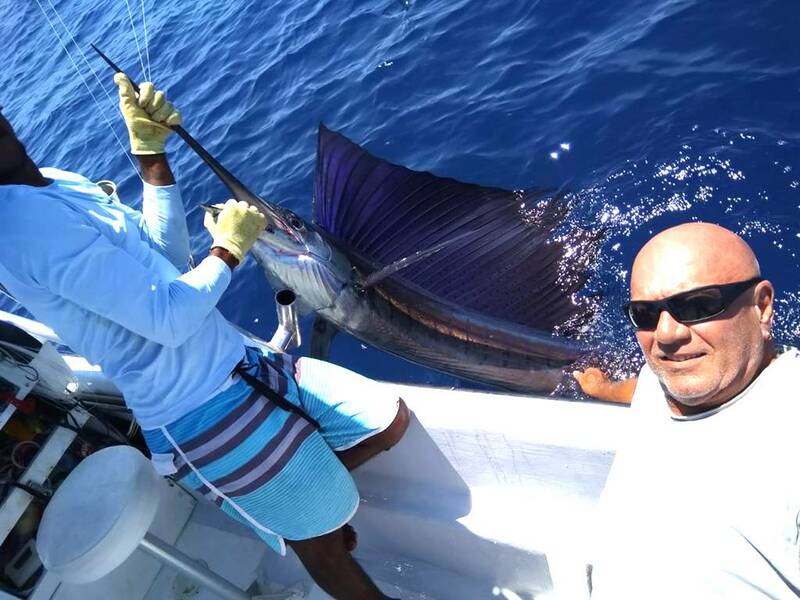 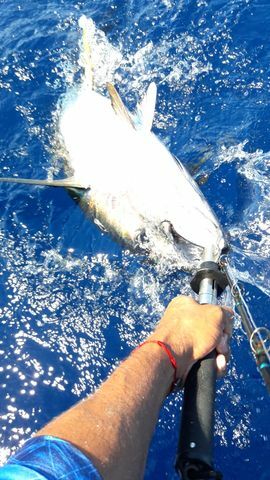 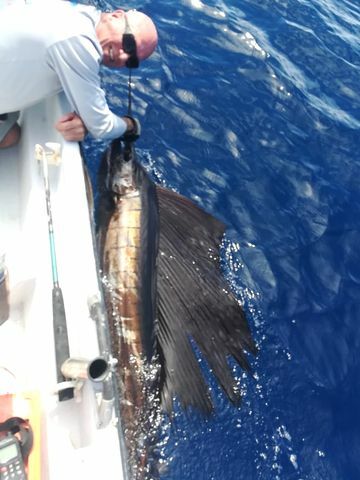 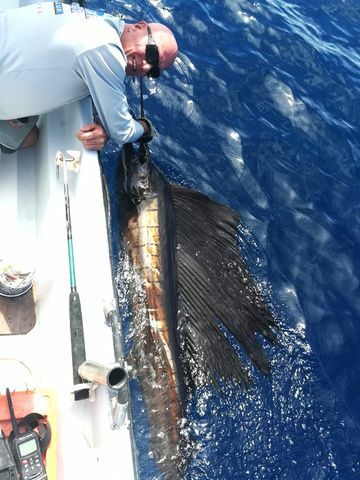 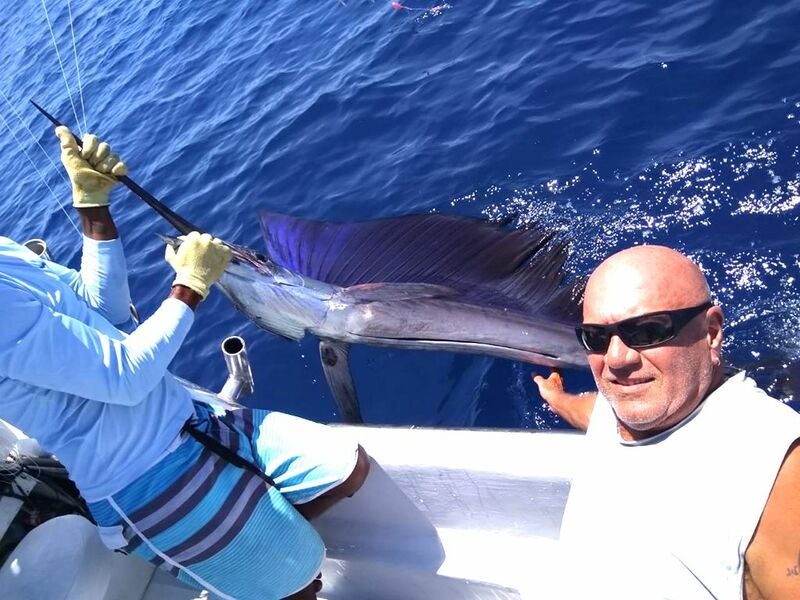 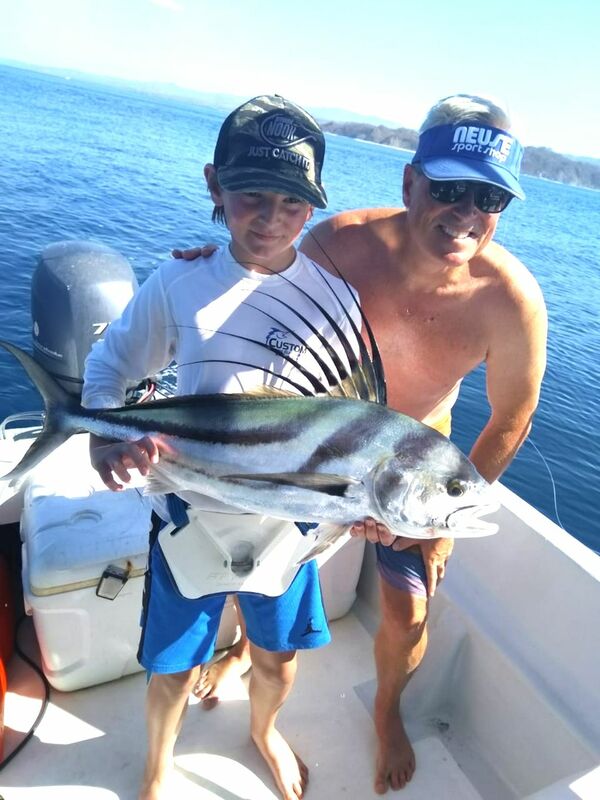 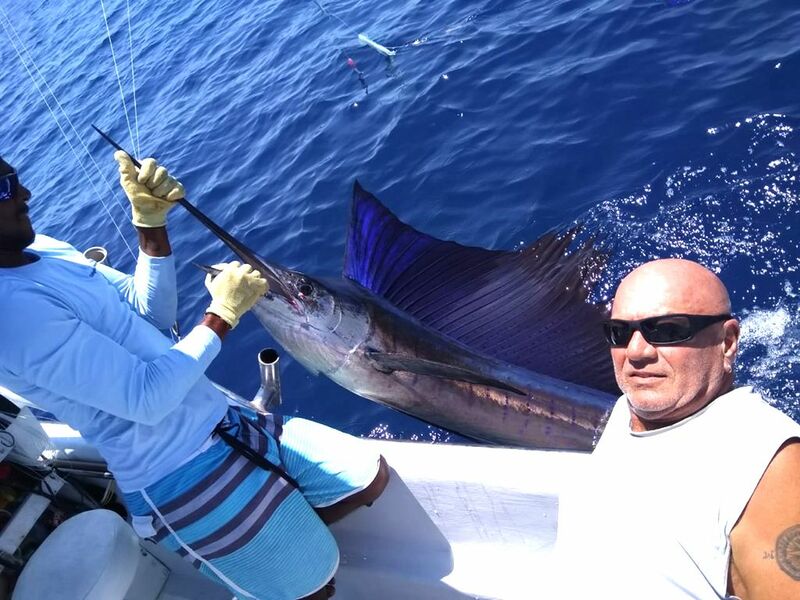 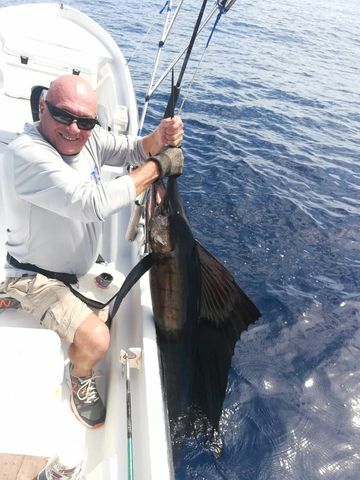 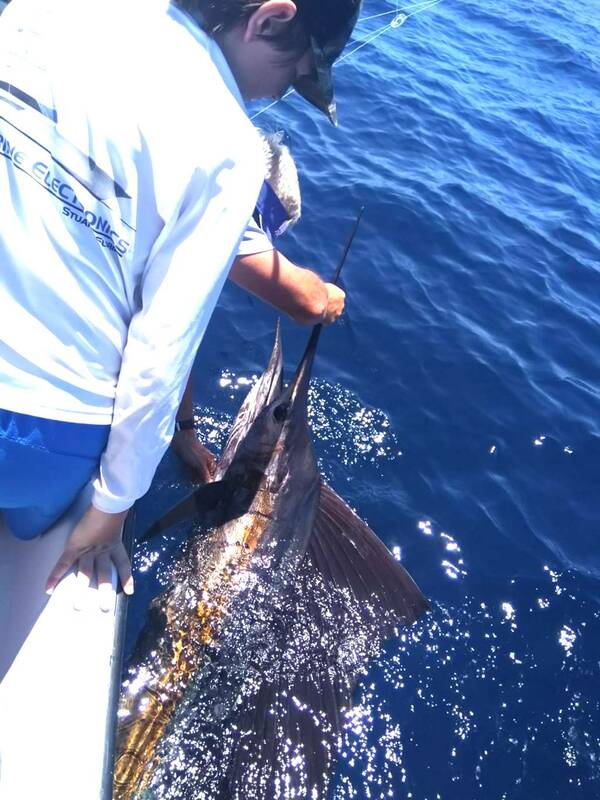 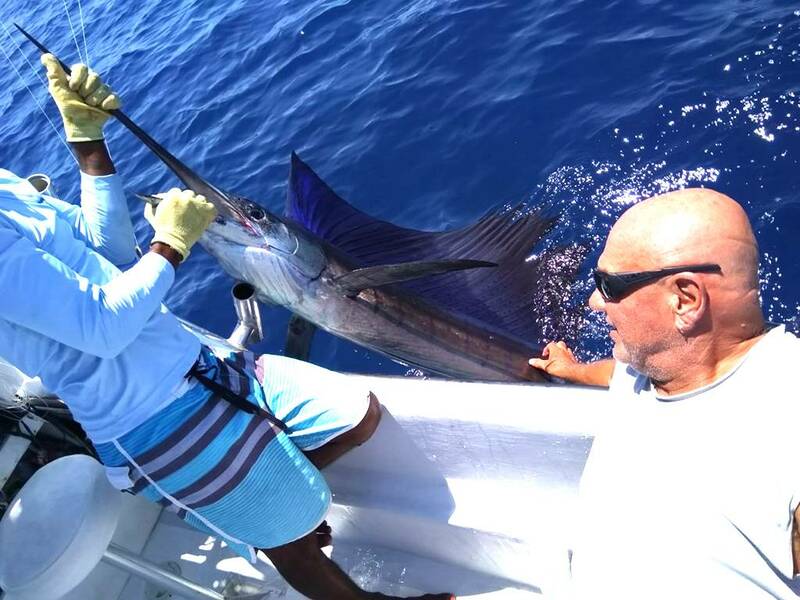 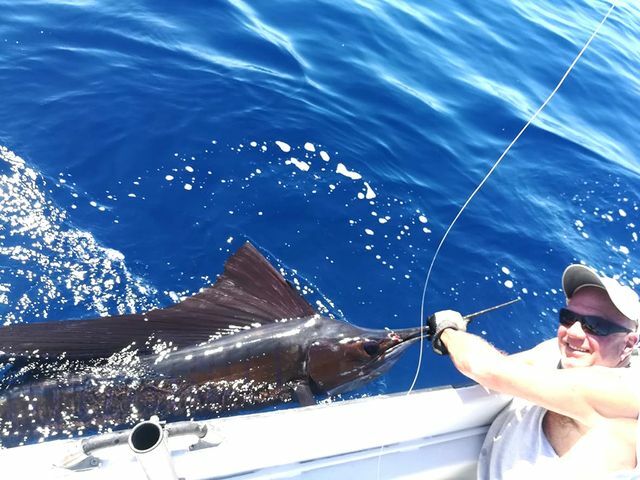 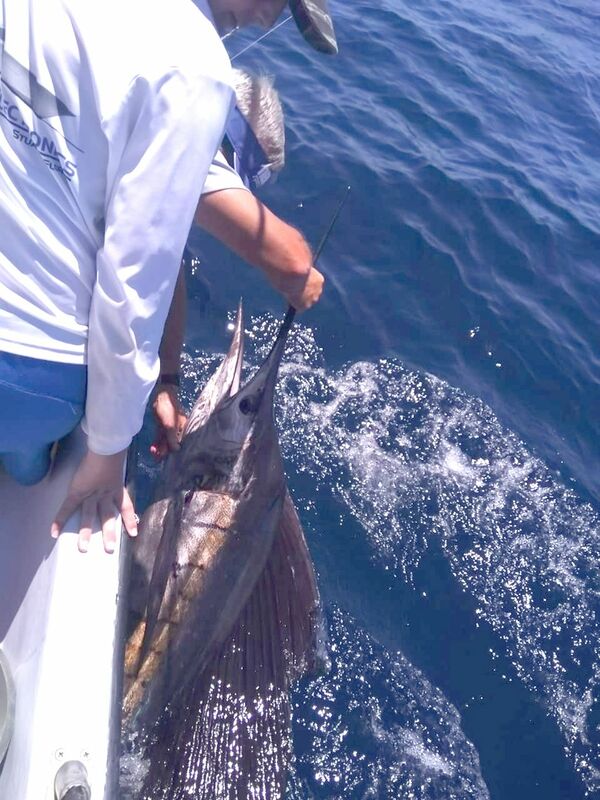 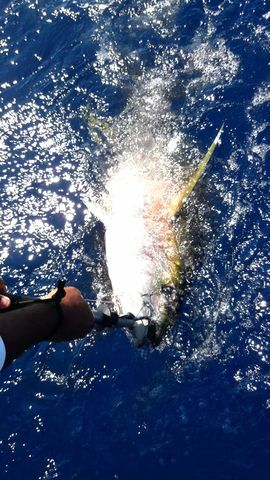 Our great friend Mark Cooney was on board and our Northeast Representative added to his legend with this another Sailfish release. 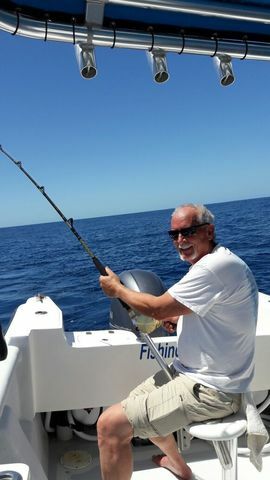 The Harvester welcomed FishingNosara Hall of Famer and Northeast FishingNosara Representative Mark Cooney for an excellent day of catching on the 12th. 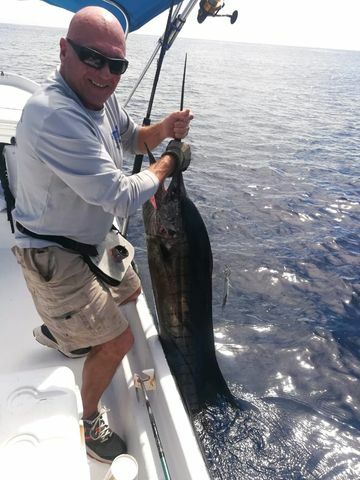 The Harvester‘s “Never Surrender” attitude was on display at this 40+lbs. 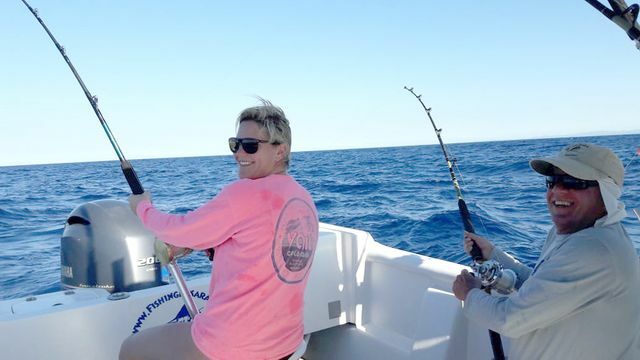 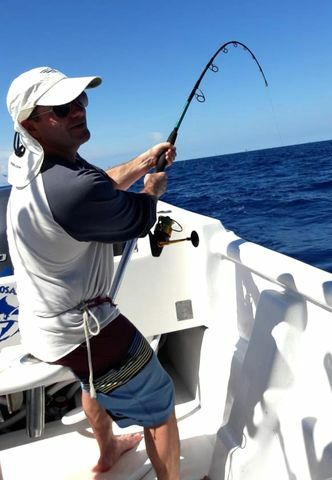 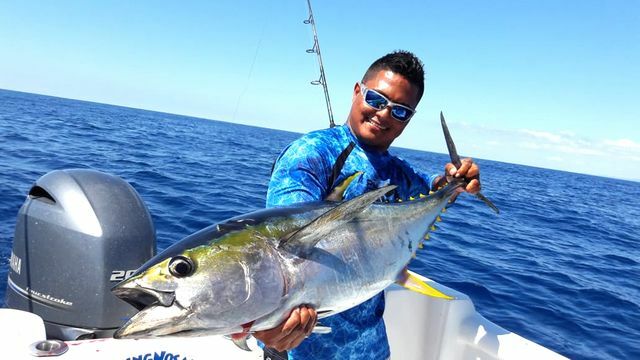 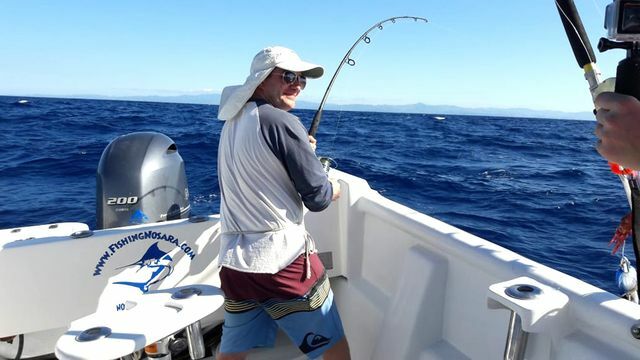 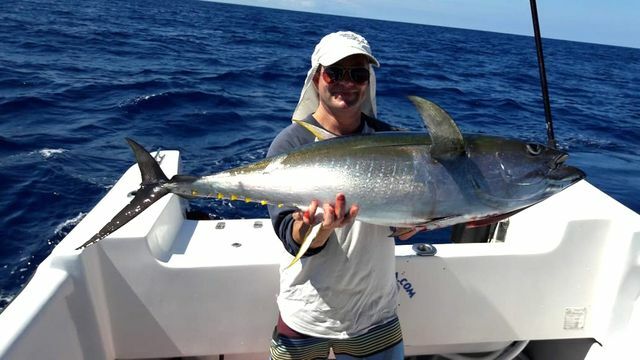 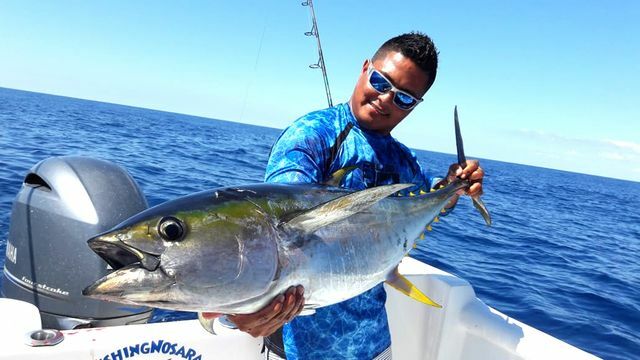 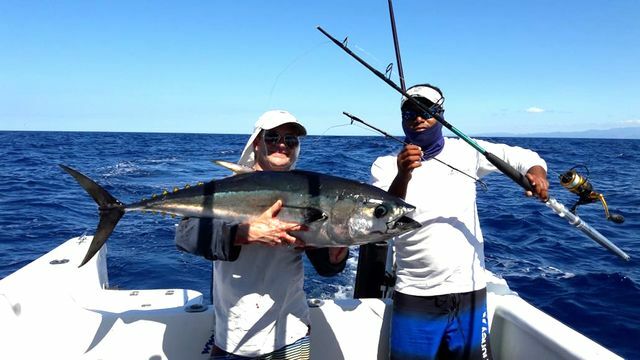 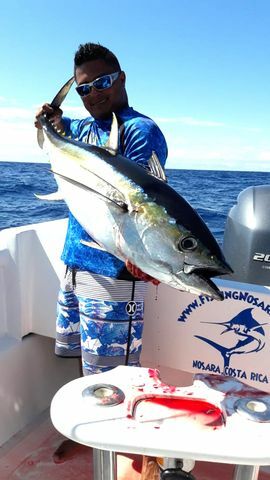 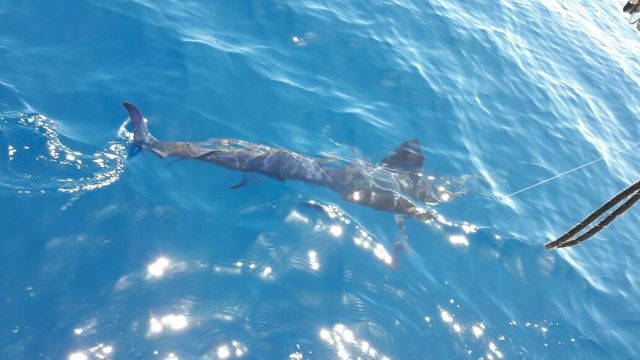 Yellowfin managed to break a rod, but not break the mega panga’s spirit. 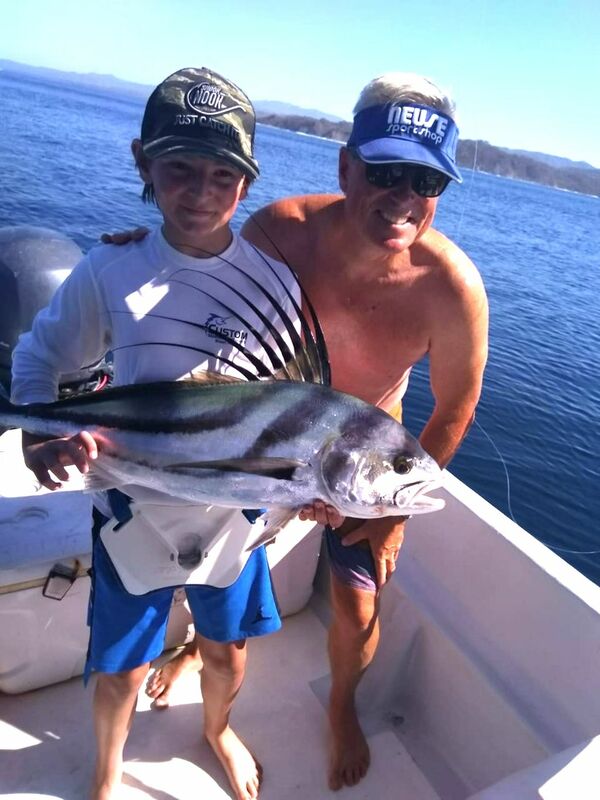 Later in the day the fish got bigger for Team Cooney. 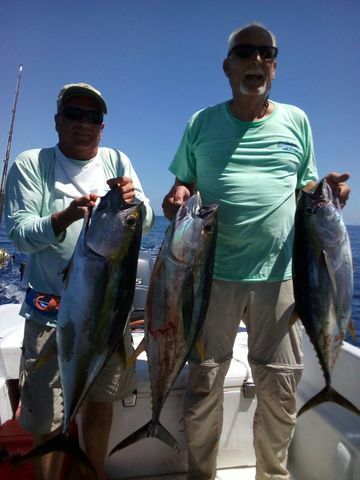 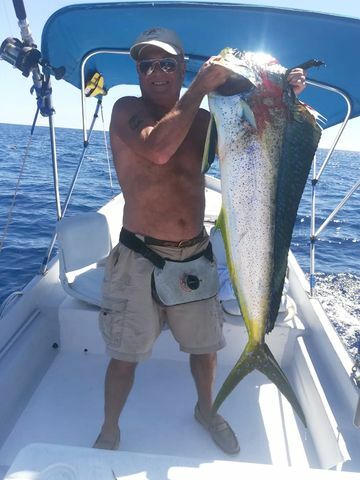 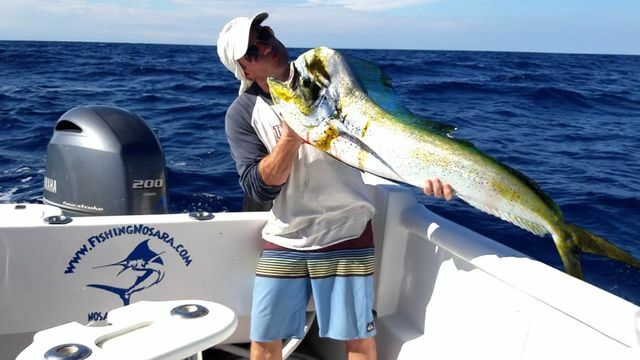 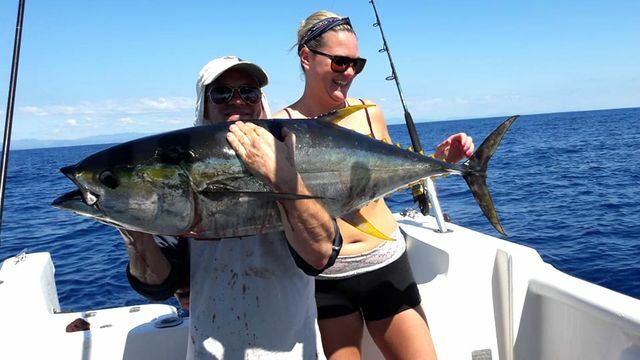 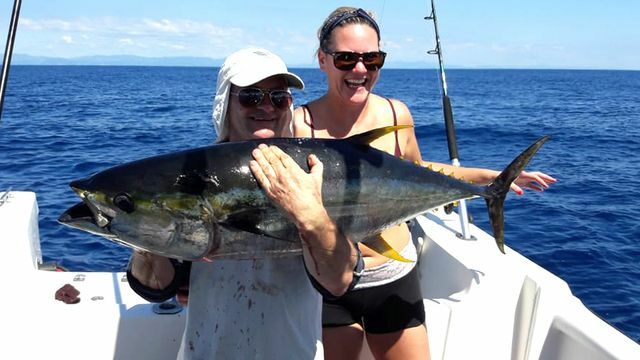 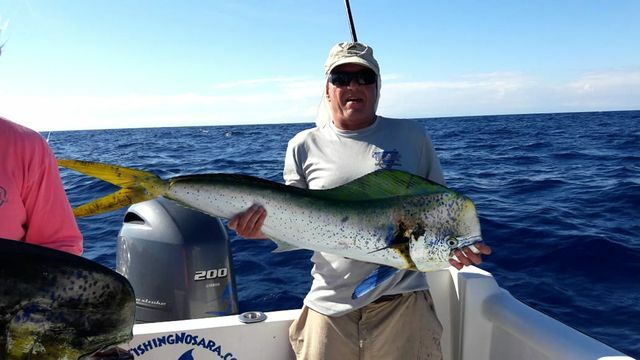 With tons of Yellowfin Tuna on ice, the ocean changed it up and provided lovely Dorado scores. 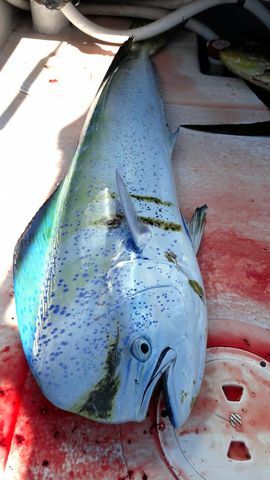 Fantastic work by Captain Alex and the Harvester! 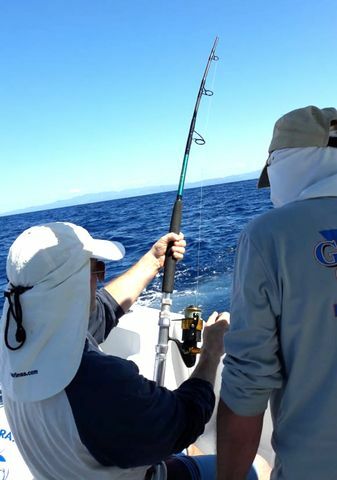 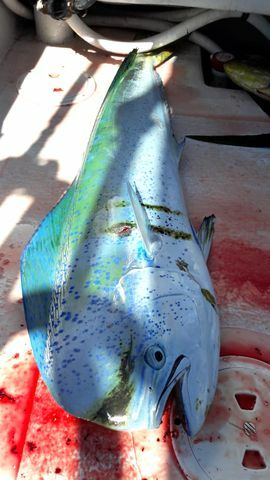 On February 20 the Explorer kept up the hot action with Mark Cooney and George Pile returning for more meaty filets. 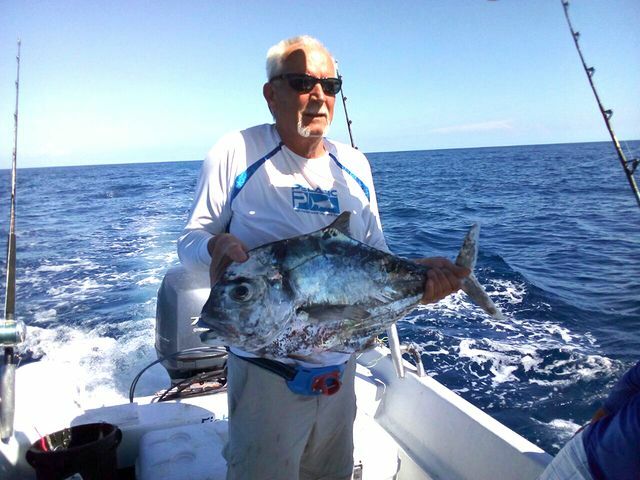 This big Pompano will yield excellent ceviche; they also added a handful of tasty Snappers. 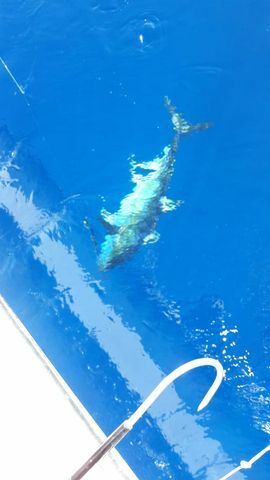 Mark Cooney and George Pile nabbed their first Marlin release of their trip with an awesome performance with Captain Alex on the Harvester. 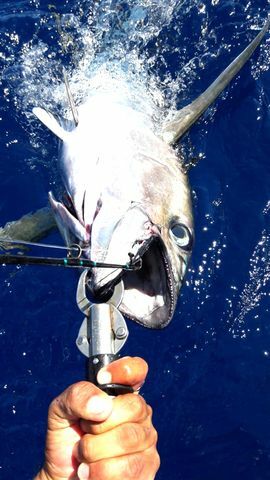 This sweet release is a true angling achievement and is a memory that will last a lifetime. 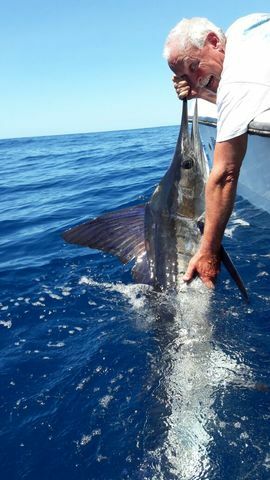 Safe released as always. 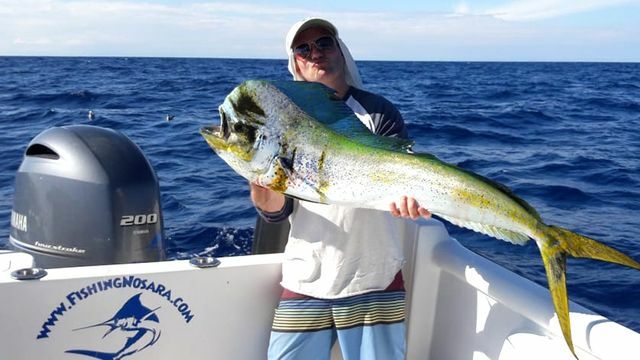 Great job by the mega panga Harvester! 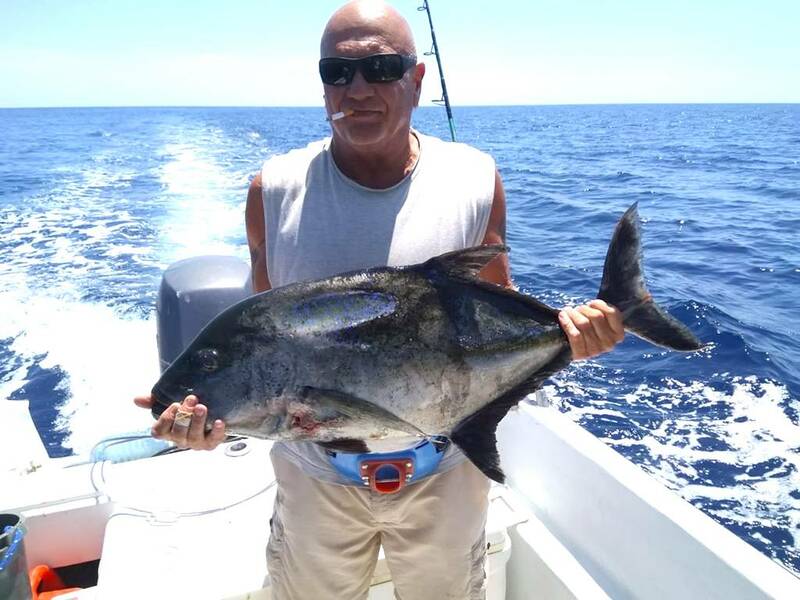 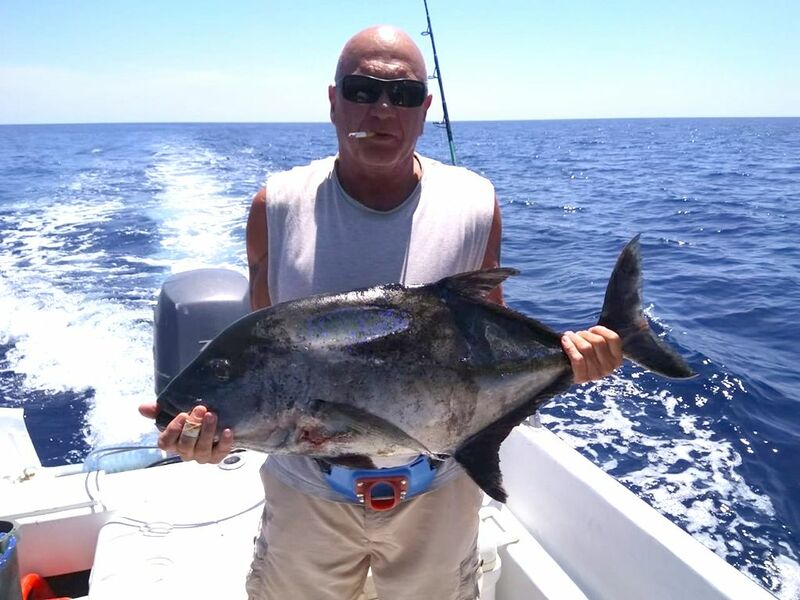 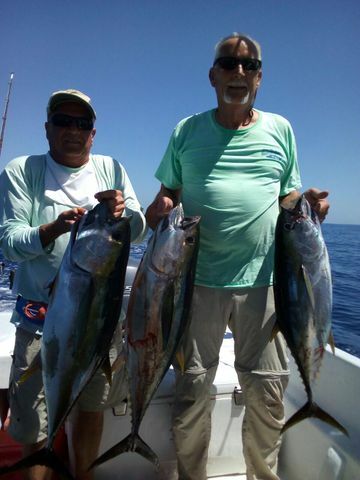 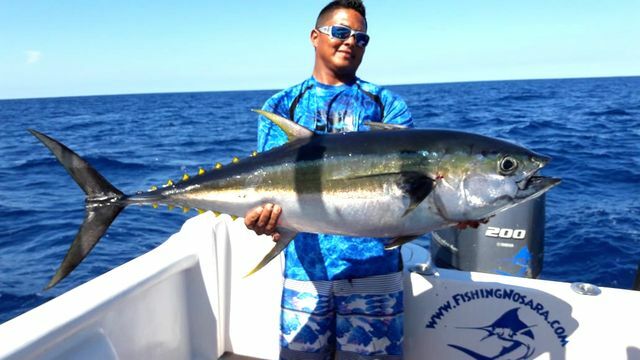 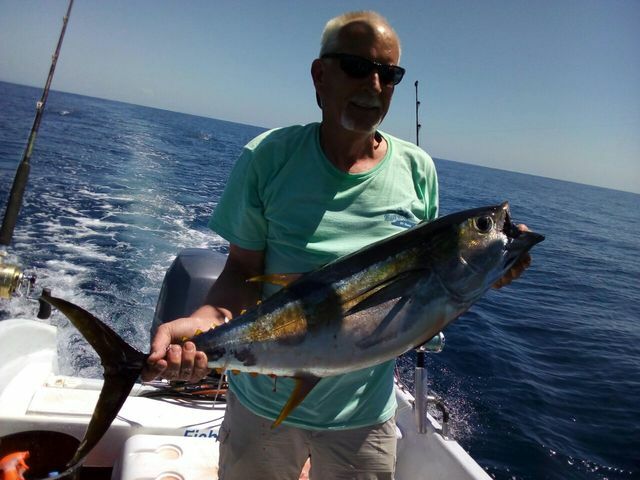 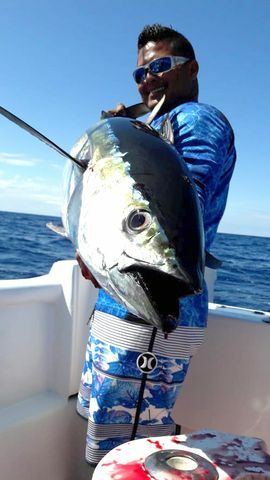 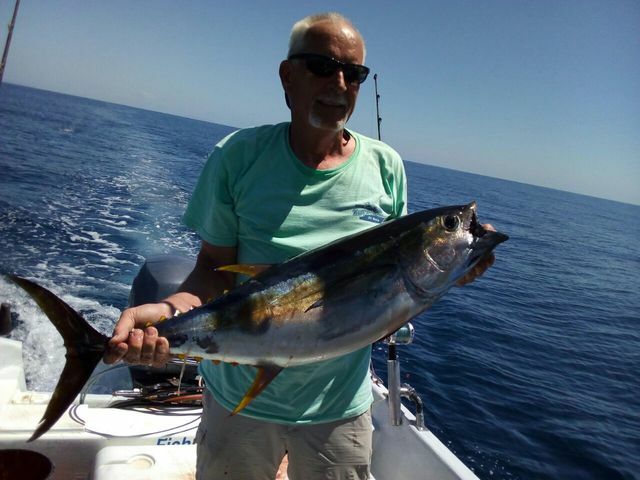 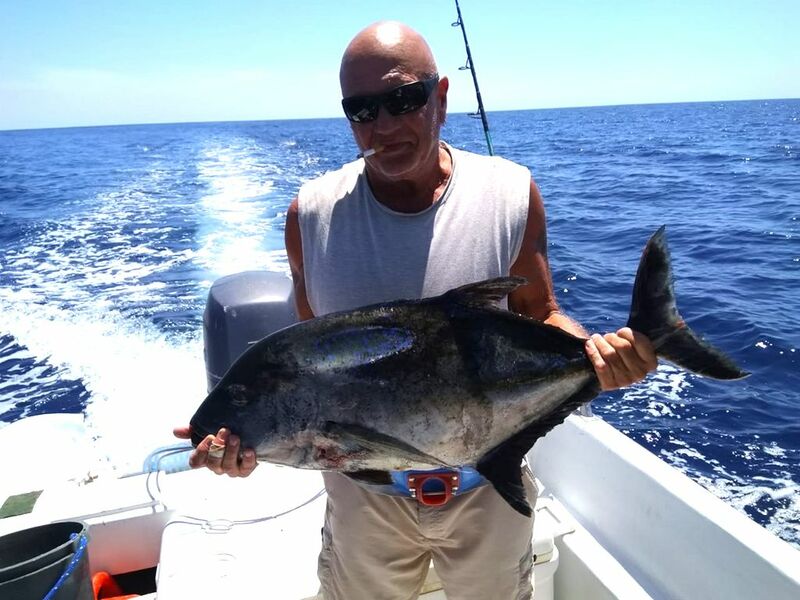 Mark Cooney and George Pile continued their blue water success on the 12th with four nice Yellowfin Tunas on ice. 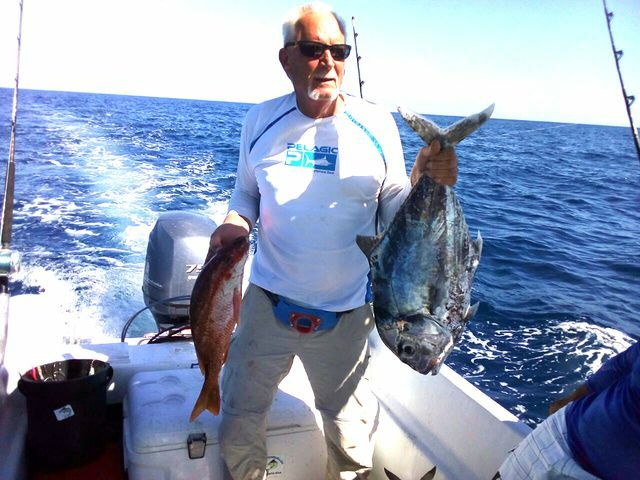 Captain Fico catches everything that swims, and these tasty beasts should make for some fine dining in the next few days.